Do you love bananas? Do you love healthy desserts? Do you love easy recipes? Do you love portable snacks? If you answered Heck YES! to any or all of these, keep reading. 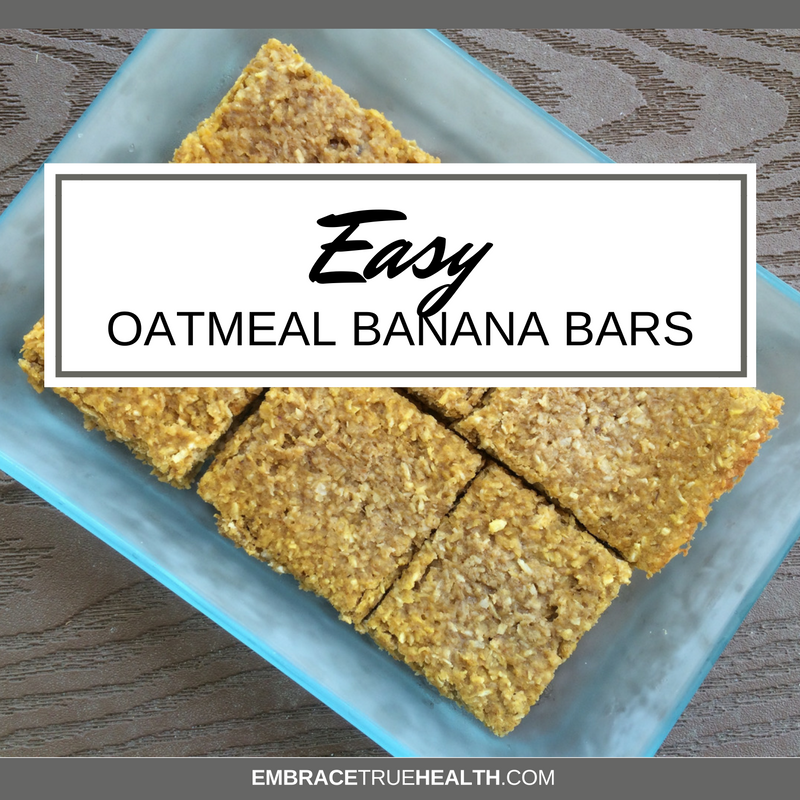 You'll love these Oatmeal Banana Bars! 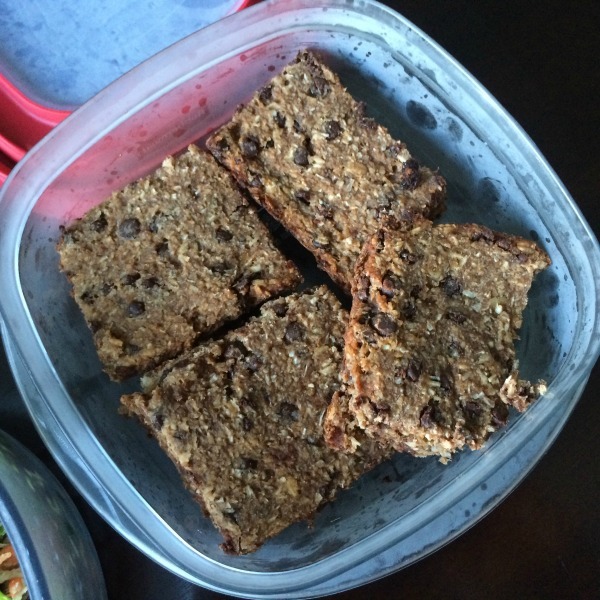 They taste like banana bread or cookies, but way healthier :) Wanna know why? It's because the only sugar in the recipe is the nanners! (And the chocolate chips if you add them...they're optional). I love eating these when I want something warm, carby, and "heavy" but without the bloat. Makes a great dessert or snack. Traveling? Make a batch for the car, train, or plane! 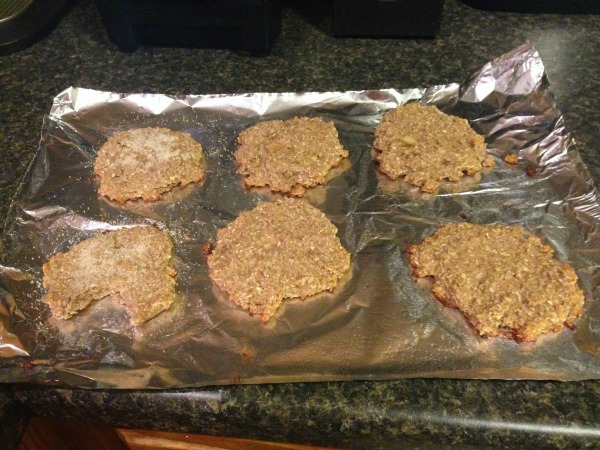 For best results, top with 1 tbsp of almond butter or a lil dab of grass-fed butter. 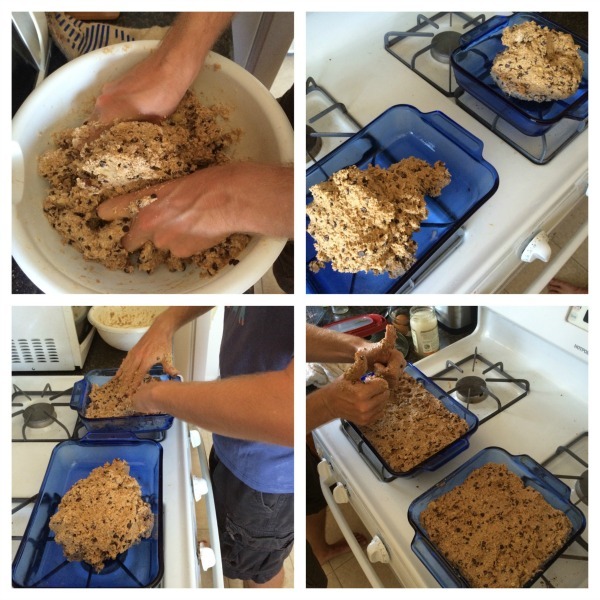 If making into bars, transfer mixture to a casserole dish (greased with coconut oil or covered in parchment paper). Looks like COOKIE DOUGH! If making into cookies, scroll down and read more. Enjoy throughout the week. 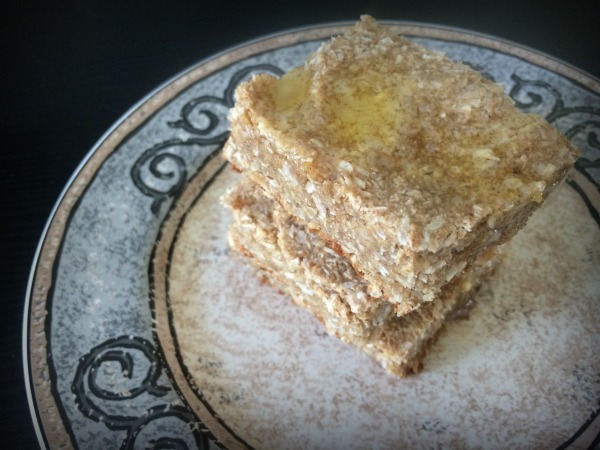 Store uneaten bars in the fridge & microwave for 30-40 seconds to reheat. **UPDATE: If you have a food processor, use it for Step #2! If adding the chocolate chips, leave them out until the very end, after you have transferred the mixture to a mixing bowl. After you add them in, mix together by hand or with your favorite durable utensil. Instead of pressing the dough into a dish, form into cookies as big or small as you'd like (I used about 1/4 cup batter per cookie) and put onto either a greased baking sheet or baking sheet with foil or parchment paper. Bake for 20 minutes then check every 5 minutes until golden brown. Let cool before eating.